Besides being a Denver lawyer and a radio talk-show host, Dan Caplis, attorney at law, should also be considered a hero. His preparedness and quick response helped him save the life of Ches Thompson on Thanksgiving in 2009. Thompson was making Thanksgiving turkey dinner for his family when he decided to take a break to go out and play in the neighborhood touch-football game. It was there he collapsed suddenly from cardiac arrest. Caplis then ran to the back of his car, and grabbed his AED. It was this device that saved Thompson’s life. 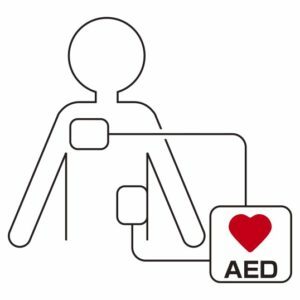 If it weren’t for some quick thinking by Caplis, who ensured to have an automated external defibrillator (AED) in his car, the 48-year-old OB/GYN might not have survived. As a result, Thompson and his family have become advocates for AED awareness. Thompson’s wife, Ellen, now sells AEDs and his sons take them to their sporting events. The backstory of Caplis’ heroic action began two years prior while Caplis was representing a 17-year-old high school senior in Montana who was fatally struck by cardiac arrest during a football practice. The Bowman’s wanted to make sure coaches have access to an AED, knowing that if they had already that their son might have been saved. It was actually Jeff’s father, Bob, who convinced Caplis to buy an AED for the Little League team he coaches. Caplis didn’t hesitate to order a $1,700 Powerheart G3. He keeps the machine in the trunk of his car with the rest of his athletic equipment. “It would have felt so incredibly helpless to have been there without the machine,” Caplis said. But Caplis knows much credit is due to the foresight of Bob Bowman, who now spends his days training people to save lives during cardiac arrest. He taught Caplis well and was proud of his reaction to Thompson’s attack.